Finally, I’ve perfected the Poached Egg! 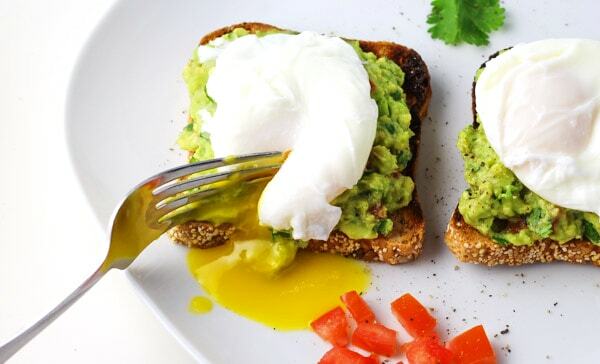 I’ve been eating a lot of poached eggs lately because I seem to have an obsession with Avocado Toast topped with Poached Eggs… OBSESSED! 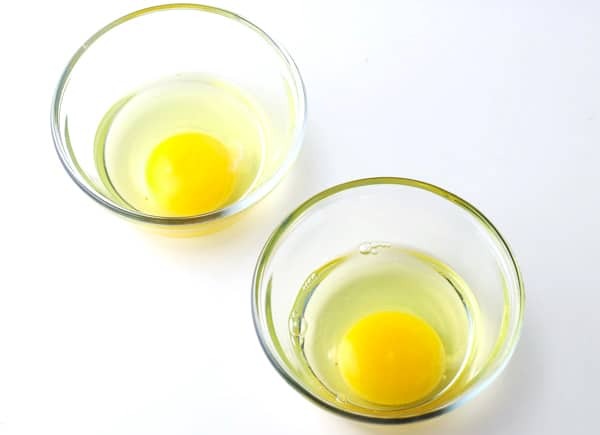 Crack each Egg into a ramekin dish, or something similar like these little glass bowls, or you could even use a measuring cup. 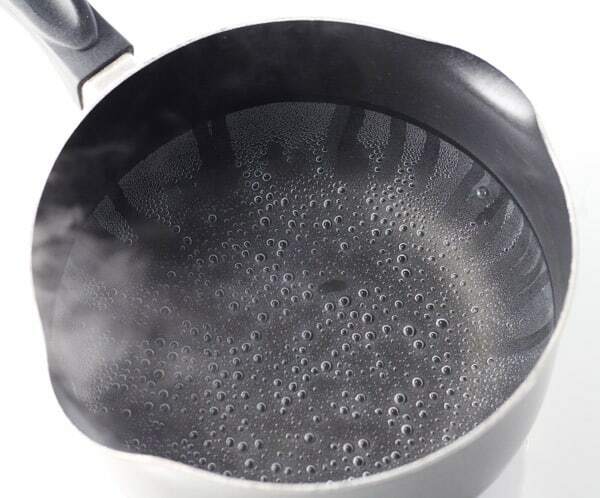 Fill a saucepan 2/3 full of water. 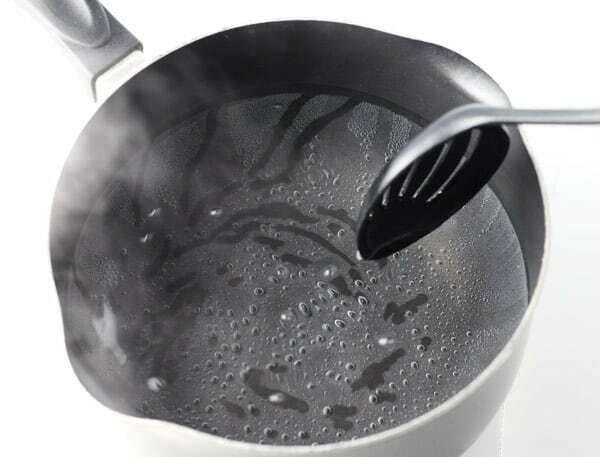 Bring water to a boil then turn down heat so the water is a slow simmer. You’ll see bubbles coming to the surface but it won’t be a rolling boil. Take a large spoon and swirl the water in a circular motion. 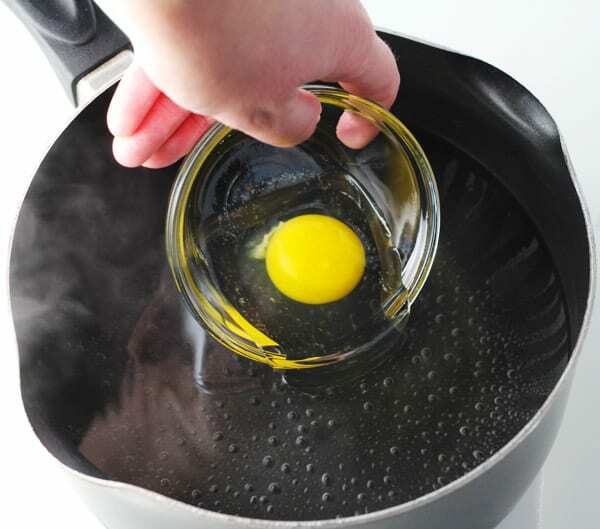 Bring the dish with the Egg as close to the water as you can get and slowly let the Egg slip into the swirling water. 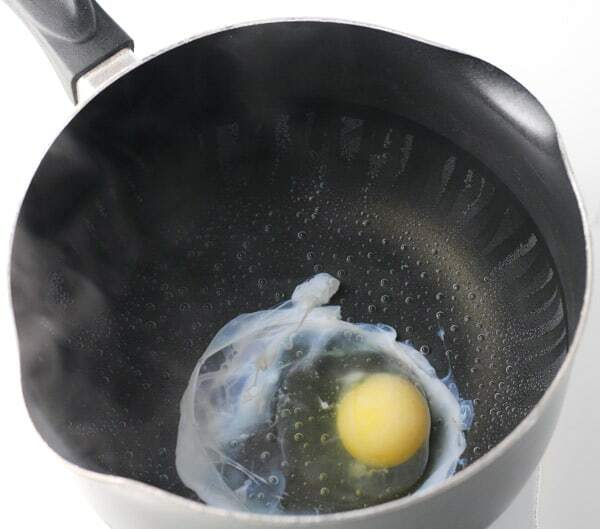 Cook the Egg for about 2 1/2 minutes. 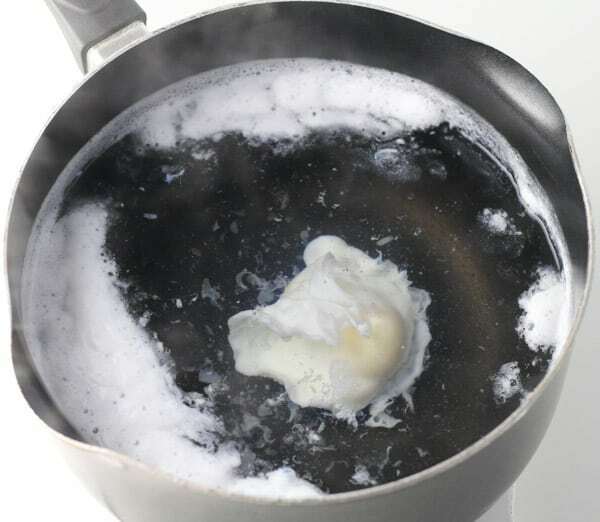 Cooking time will really depend on how runny you like your poached Eggs. I personally like mine a little more runny. If you like your yolk cooked a little more you could cook it 3-4 minutes. 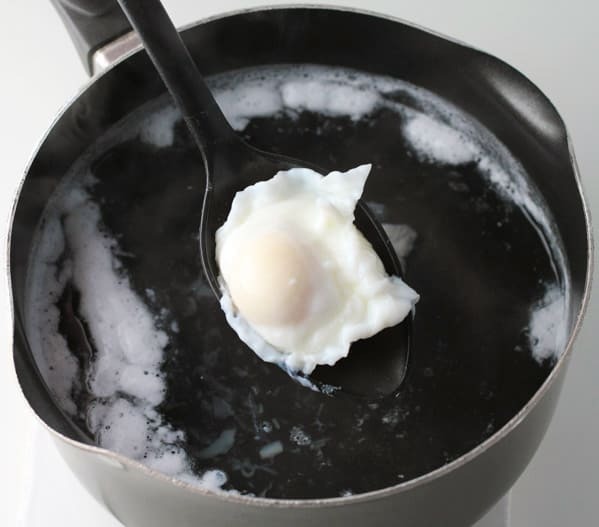 Remove the Egg with a slotted spoon. Eat as is, or add it to toast. My favorite is to add it to Avocado Toast, YUM! Crack each Egg into a Ramekin dish. In a medium saucepan fill 2/3 with water. Bring water to a boil then turn down so it’s a slow simmer. Swirl the water with a spoon. 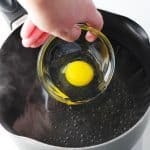 While water is swirling bring Ramekin dish as close to the water as you can and slowly add the Egg to the water. Scoop Eggs out with a slotted spoon. WHy do some people add vinegar? WHat does that do? Hey Monika, I’ve heard of some people adding vinegar because it makes the egg whites firmer faster. But I’ve also found that some of the vinegar flavor gets in the egg. I don’t care for the vinegar taste with my eggs, so I choose not to use it.